Mohawk Oak Gunstock 3/8 in. Thick x 3-1/4 in. Wide x Random Length Engineered Click Hardwood Flooring has strong grain lines, rich color and is easy to install. Just align, click and press - no nails are required to install this floor. It features Scotchgard protection to help repel germs, dirt and stains such as paint, nail polish and permanent marker. Its PureBond technology contains no added urea formaldehyde and may contribute to good indoor air quality. 23.5 sq. ft. per case and case weight: is 35 lb. Buy online Mohawk Oak Gunstock 3/8 in. Thick x 3-1/4 in. 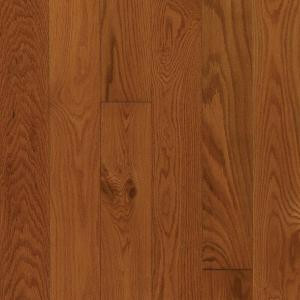 Wide x Random Length Engineered Click Hardwood Flooring (23.5 sq. ft. / case) HGO43-50, leave review and share Your friends.